Huw Priceinterviewed by Richard Marshall. Huw Price is an ice cool pragmatist philosopher with global expressivist deflationary thoughts that he writes about in his many books. He thinks about time and causation and truth but isn't a metaphysician. He doesn't think there's a time's arrow. He thinks Stephen Hawking gets things wrong. He thinks Bertrand Russell is an armchair anarchist. He is indubitably a groovy jive. 3:AM:What made you become a philosopher? Was it always something you felt drawn to or was it a surprise? Huw Price:A surprise. In my first year as an undergraduate at ANU I added philosophy after signing up for the maths and physics courses I thought I needed. Later, when I wanted to drop physics and concentrate on pure maths, I had to make up another major, so I did a couple more philosophy courses. That’s when I started to get drawn into it (though it was a couple more years before I made the switch – my first year at graduate school was in maths). 3:AM:You argue in 'Facts and the Function of Truth'that usual ways of making a distinction between factual truths and non-factual truths fail. Before looking at your own position, can you outline the main difficulties with the alternatives? HP:At this distance it’s hard not to be anachronistic, but what I was criticising was the common view that there is a ‘bifurcation’ in language between those declarative utterances that are genuinely ‘descriptive’, or ‘fact-stating’, and those that have some other function. Traditional non-cognitivists employed this distinction, arguing say that moral claims lie on the latter side of the line, not the former (and hence that there is no metaphysical issue about the nature of moral facts). I was (and am) sympathetic to that anti-metaphysical move, but I think the bifurcation thesis turns out to be unnecessary to it, confusing, and ungrounded. In FFT I argued that the various ways in which people try to draw this distinction tend just to take in each other’s washing, and that attempts to find a firm place to stand don’t work. For example, it was a common idea that the notion of direction of fit would do the job. Beliefs were said to have ‘mind-to-world’ direction of fit, meaning that we try to conform our beliefs to the way the world is; whereas desires were said to have ‘world-to-mind’ direction of fit, meaning that we try to conform the world to our desires. But apart from the fact that this distinction is no use at all for drawing the distinction needed in non-normative cases – that of non-cognitivism about probability claims, for example, to mention one case that I was interested in at an early stage – it turns out to be completely unhelpful even where it is supposed to work. In order for it to work, we need to exclude the possibility that there could be a proposition Val(P) such that believing that Val(P) could be compatible, even identical, with desiring that P. And the direction of fit test doesn’t tell us that. Having world-to-mind direction of fit about Val(P) might be entirely compatible with having mind-to-world direction of fit about P, simply because P and Val(P) are not the same proposition. In order to apply the direction of fit test, in other words, you need to already have an answer to the question whether there is such a proposition Val(P) – and that’s just the original issue. 3:AM:You argue that we should understand truth in terms of a functional analysis. You argue that truth has a central normative function, and that is to get people to argue. You link this with arguing that there is no sharp boundary between factual and non-factual uses of language. Is this a version of deflationism? HP:Yes. It shares several features with more familiar versions of deflationism, such as those of Quine, Horwich, Brandom and many others. Like those writers, I think that asking ‘What is truth?’ is asking the wrong question – a question that mistakenly assumes that truth is the kind of thing that has a nature, as it is sometimes put. Instead, we should be asking explanatory questions about the term, or concept: Why do we have a truth predicate? What is its function, and how would matters be different if we didn’t have it? My view diverges at this point, since I link truth to a central norm of our assertoric practice rather than to the kind of logical role (e.g., in generalisations such as ‘Everything that Fred says is true’) central to other deflationary views. But I agree with other deflationists completely about what questions we should be asking. 3:AM:Since you wrote that book, back in 1989 there have been other functionalist approaches to truth. So Beallargues that truth is merely a mechanism that allows us to generalize, a short cut mechanism required because of our medical limits (so god wouldn’t need truth in her vocabulary)? How has your view developed over the subsequent time? One thing I’m interested in is whether philosophers do actually change their minds much, so this is partly a question about that as well. HP:Beall’s view is another version of the ‘transparent’, deflationaryaccount of truth I just associated with Quine, Horwich, Brandom. I haven’t changed my mind about that kind of deflationism not being the whole story. On the contrary, I have defended my own version again more recently in a couple of papers, including ‘Truth as Convenient Friction’. Roughly, I think that my view trumps the other kind of deflationism in this sense: our conversational practice needs a norm of the kind I associated with truth; but once we have one, and a means of making it explicit, as Brandom would say, then we have something that will do the logical job, too. But the same doesn’t work in reverse, so the normative notion is the more basic one. 3:AM:You’re a metaphysician and you’ve taken a look at all the big themes. One of them is times arrow. When discussing this you suggest that we step back and look at the idea from a point of view outside of time. But before you tell us your thoughts about time’s arrow, could you say something about the block universe theory of time because it is very peculiar isn’t it. It conceives of time as being tenseless, which to many folk will seem paradoxical. How could there be time without past, present and future. It sounds like a redefining of the concept to avoid agreeing with McTaggart that time is unreal. How can time be tenseless? Is this just another case of folk talk being totally cut off from theories of physics? HP:Well, just to disagree with a couple of bits of the first claim, I’m not a metaphysician (at least not in what’s now the familiar sense – more on this below), and I’m sure I haven’t looked at all the big themes! But about time, if someone wants to insist that time can’t be tenseless I’d be very happy to give them the term, leave them to the mercy of McTaggart, and use a different term for the notion associated with the block view. 3:AM:You argue that there is an asymmetry in how we think about the world that contradicts the block universe idea, or at least looks strange from that view. This is how you began to think about those in-built temporal asymmetries in the way we think and develop your theory about times arrow wasn’t it? Can you tell us about this and your theory of time’s arrow? 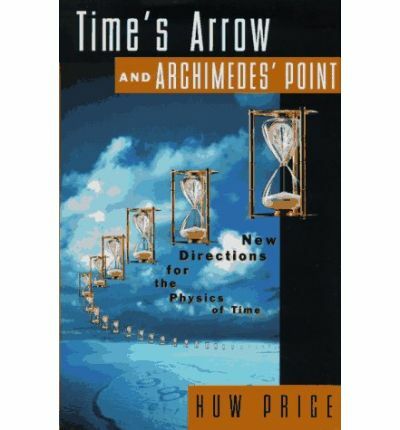 HP:Time itself doesn’t have an arrow, in my view. Someone creating a world like ours from scratch (and from outside, of course!) wouldn’t have to make a choice between two versions, one the exact temporal mirror-image of the other. Those are the same world, differently described. (This is the temporal equivalent of disagreeing with what Kant says about a world containing only one hand: he thinks there is a fact of the matter about whether it is a left hand or a right hand.) Indeed, I think it is very difficult to make sense of what it would be for these to be different worlds, in the intended respect. There’s lots of temporal asymmetry with the world as we know it, of course, but I see no reason to think of any of that as an indication that time itself has a direction. (As I said, I find it hard to see what that would mean.) But there are fascinating questions about the nature and source of these various asymmetries – which of them are fundamental, and in what sense, for example. Another fascinating kind of question, in my view, is which of these apparent asymmetries are entirely objective, and which might in some sense be merely projections of our own temporally-asymmetric viewpoint. But to get these questions into focus, you need a clear sense of the background, the base from which the project starts. One reason for starting with the undirected block universe – apart from the fact that it’s what physics gives us! – is that if you’re sure that you’ve stripped all the asymmetry out, it’s not so hard to keep a close eye on how it gets back in. That way, we can hope to avoid what I call double standard fallacies – illicitly assuming a time-asymmetry in some subtle form, in the course of trying to explain another one. 3:AM: Philosophers have had a pretty torrid relationship with physicistsrecently, but you were hammering away at Stephen Hawking’sviews about the direction of time in public when his best seller came out in the early 1990s. What did Hawking get wrong, and more generally, why should philosophers and scientists listen to each other? Penrose also saw that there’s a problem with explaining why the Big Bang has low entropyin terms of a time-symmetric fundamental physics (which is essentially what we have). In such a physics, any argument applicable to the Big Bang ought to be equally applicable at the other end of the universe, in a ‘Big Crunch’ – or even in the kind of mini big crunches that produce black holes. But that would mean that the second law would reverse direction, as one approached such a final singularity. Penrose thought that that was unacceptable, and proposed instead that cosmology must invoke some time-asymmetric law (what he calls his ‘Weyl curvature hypothesis’). Hawking thought he could do better than this, using an alternative hypothesis called the Hawking-Hartle 'No Boundary Proposal'. As Hawking explained in A Brief History of Time, he believed initially that this hypothesis would imply that entropy would reduce towards a 'Big Crunch' – in other words, he accepted the consequences of symmetry that Penrose found unacceptable. But then he became convinced that he had made a mistake – he calls it his greatest mistake – and retracted this part of the view. That left him in the situation of claiming to get an asymmetrical result out of symmetrical theory – the very thing that Penrose, like many others, had decided was impossible – without telling us how the trick works. A natural thought, at least for a suspicious philosopher like me, was that he hadn’t pulled off the trick at all. Instead, he’d slipped in an asymmetry at some point (e.g., by relying on statistical arguments in one direction but not the other), thereby committing a double standard fallacy (and ending up in the same position as Penrose, only without being aware of his asymmetric assumption). That’s what I wrote about in my little commentary articlein Naturein 1989. I haven’t changed my mind about that one, either. Indeed my confidence went up considerably when I sent a copy of it to Penrose (I think this was couple of years later), and he said that he had been saying that kind of thing to Hawking for years. On the general issue – why should philosophers and scientists listen to each other? – I think there’s a sense in which they don’t have a choice. There are questions that arise in relation to most (probably all) of the special sciences that are by nature philosophical questions. (It’s hard to say what that means, but you know them when you see them.) Of course, no one in either field needs to engage with these questions, if they don’t want to. But the questions are there, and interesting from both sides, to thinkers with particular predilections. At that point, each side is simply shooting itself in the foot, if it refuses to listen to the other. 3:AM:Is asking whether the past exists, or any tensed portion of reality, a badly formed question because it presupposes a bad metaphysics? Is there a general lesson here about how ignoring the metaphysical foundations of any statement can lead to hot water? Does your idea of metaphysical and semantic quietism help here? HP:The main problem with the debate about ontological issues between presentists and like, on the one side, and B-theorists, on the other, is that it looks like they are simply talking past one another, by meaning different things by ‘exists’: one side means it in a tensed way, the other in an untensed way. The participants on both sides try to meet this charge by agreeing with each other that that the issue turns on some ‘fundamental’ notion of existence, whose nature is in dispute between them. Metaphysical and semantic quietists like me can simply tune out at this point, as for ‘time’ above, because ‘fundamental’ is not one of our words (at least as it is being used here). The same goes for ‘reference’ and other semantic terms that tend to be pressed into service – interpreted in a ‘thick’, non-deflationary sense – in trying to identify some real point of disagreement in these debates. 3:AM:Causation is another big topic you’ve grappled with, and again it seems to connect up with time. We tend to think of causation in terms of time: first something happens and then something else follows, caused by the first thing. 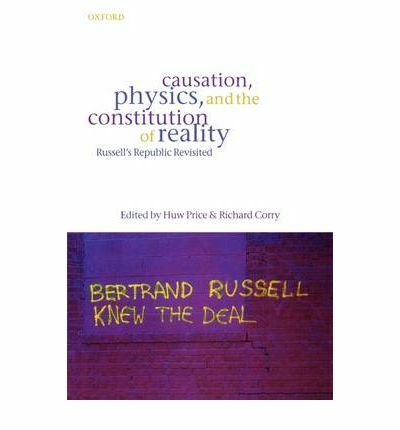 At the start of your book Causation, Physics and the Constitution of Realityyou and co-editor Richard Corry cite Bertrand Russell saying that causation was like the monarchy, a relic of a bygone age erroneously thought of as being harmless. But just like the Queen, causation hasn’t been scrapped and also like the Queen seems to be thriving. Nevertheless its causation that again draws you to thinking about asymmetries: how come causation is only one way? Have you an answer? Or should we be republicans about truth as Russell suggested? It is not really clear whether Russell should count as a causal anarchist or a causal republican, by these criteria. I think a charitable way to read him is as a kind of armchair anarchist, much like Hume, who thinks that talk of causation is fine when we’re out in the real world. We just need to avoid the mistake of thinking that it is something we should be investigating when we looking for the fundamental constituents of reality. And that’s much the same as causal republicanism. One of the great attractions of the republican view, I think, is that it makes it easy to explain the difference between cause and effect, and the fact that, at least most of the time, this causal ‘arrow’ lines up past-to-future. The former stems from the asymmetry between means and ends, from an agent’s point of view (I think Ramsey was the first to see this, incidentally). While the latter turns on the fact that all human agents happen to face the same way, as it were: we all deliberate past-to-future. Creatures elsewhere in the universe may do things in the opposite direction, and if so then they take the causal arrow to point in the other direction – and there’s no objective sense in which one of us gets it right, of course, any more than it is an objective fact that Australia is on the top half of the planet. 3:AM:The idea of practical deliberation being ‘open’ or ‘settled’ is a key to how you go about answering the issue of the asymmetries of causality. Can you explain this and say whether as with your views about times arrow and truth your metaphysics link functional explanation to why we think about the world as we do (even though science tells us that there are no asymmetries in their theories). Is that right? HP:Suppose you are deliberating about whether to do something – whether to stop reading your email and go out for lunch, say. There are some things you know, like what time it is, whether you are hungry, and so on, and other things that you may not know but think of as ‘available for knowing’, before you make your choice. All that counts as settled, in the terminology you mention to here. But there are some things you don’t know before you make up your mind, starting, obviously, with whether you’re going to go out to lunch or not. (If you thought you knew that, you couldn’t think of yourself as still deciding whether it would happen.) Things in the latter category are open, in this terminology. As I noted earlier, Ramsey proposes that this is the basis for the distinction between cause and effect. He doesn’t go into the question why this distinction seems to line up past-to-future, but as I said above, I think that that is plausibly explained by a contingent fact about us, namely that we also deliberate about later actions. As I noted, creatures elsewhere might do it differently, and in that case they would divide up the world differently into what was settled and what open, from their point of view. Another interesting possibility, which Ramsey misses, is that not everything in the past need count as settled, from our point of view. It isn’t incoherent to think of some of it as open and under our control (as an indirect consequence of some future action), so long as we don’t think we could find out about it before we decided whether to perform the action in question. This possibility was first noticed by Michael Dummett in the 1960s. It amounts to admitting a bit of retrocausality, even in a world in which the prevailing forward direction of causality reflects our contingent temporal perspective, in the way I have described. I think it is going to be big news in quantum mechanics, incidentally. 3:AM:Last year Naturalism Without Mirrorscame out. And in it we get a further look at how you do (or don’t do, depending on how we look at this) metaphysics. You don’t so much ask ‘What are we looking at?’ but rather ‘What are we talking about?’ What is the difference between the two questions in terms of what answers we might give and what we might suppose metaphysics is really about? You have a brilliant riff on this concerning the transparency of language where you say its not just that ‘… as an Australian apostle might have put it, that language shows us the world “as through sunnies, darkly”… ‘ but that ‘the glassy metaphor itself is entirely empty.’ So are you a kind of pragmatist? The metaphysics suggests that perhaps Peirce might be your kind of pragmatist, but the title of your book and this language orietated approach to the subject is kind of solid with Rorty, Wittgenstein and Brandom, and that’s where many people seem to put you. Are you doing metaphysics or are you deflating metaphysics so far that it doesn’t count as metaphysics anymore? HP:The alternative question isn’t ‘What are we talking about?’ – that leaves us just where we were, trying to think about the things. I want to recommend that we think instead about the language, by asking ‘Why are we talking this way – what role do these concepts play in the lives of creatures like us?’ That’s why I say that I’m recommending that we do anthropology, in place of metaphysics. Yes, certainly I’m a pragmatist. In my view, the most helpful way to characterise pragmatism is to say that it approaches a range philosophical issues in the way I just mentioned, by asking about the practical role that philosophically interesting concepts (e.g., that of causation) play in our lives – by looking for explanations, and genealogies, in broadly naturalistic terms (i.e., by starting with the assumption that we are natural creatures in a natural environment). 3:AM:The ‘without mirrors’ is your way of signaling a major theme in the book, which is your rejection of the view that language mirrors nature, that we somehow represent nature and that our thoughts cut nature at the joints. We’ve seen this in your approach to time and causation. Can you say something about why you think a ‘semantic ladder’ from linguistic concerns down to ontology is not feasible? HP:The context for my use of this metaphor is the issue whether if you start off asking questions about language, you can nevertheless end up asking the usual kind of metaphysical questions about (non-linguistic) things. On the face of it, the answer is ‘yes’. If you start with something you take to be a referring term, say "X", and then ask the question ‘What does "X" refer to?’, it looks as though a question about language – about the term "X" – is directing your attention to the world. But if you are a deflationist about semantic notions like truth and reference then, as Quine pointed out, this is a kind of illusion. In this case the question ‘What does "X" refer to?’ is just another way of saying ‘What is X?’ – which isn’t a question about language at all. So deflationary semantic notions can’t provide a ladder to take you from genuinely linguistic issues to metaphysical issues. That was my point. 3:AM:You make a distinction between two species of expressivism – local and global types. Simon Blackburn’s quasi-realism is the acme of the local expressivist position but you think even this fails and that its global expressivism that we need. Can you say what this distinction seperates and why only the global species is useful? That combination of expressivism on one side of the line, representationalism on the other, is off-limits for me, because I reject the idea that there is such a line – I reject the bifurcation thesis, as I put it above. In principle, this would be compatible with being either a global expressivist or global representationalist, depending on who wins when the wall comes down. But in my book, both figuratively and literally, it’s the expressivists who win. The sorts of questions that local expressivists ask about what they take to be non-descriptive claims – questions about use and function, cast in something other than the semantic terms that their representationalist opponents employ – turn out to be good questions to ask everywhere. Hence global expressivism, as I call it. 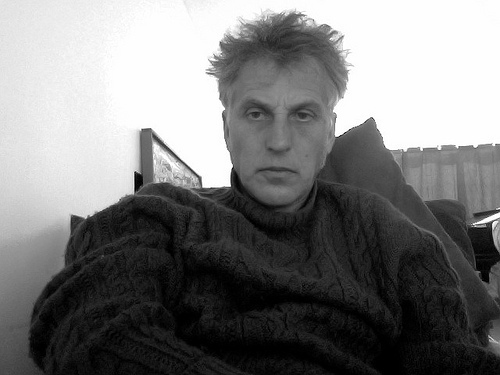 3:AM:Your view is both deflationary and expressivist, and for philosophers like Crispin Wright, John McDowell this is simply not done. How come you think you can make it work? Why are they mistaken? HP:One way in which local expressivists cashed out what it was supposed to mean to be non-descriptive was in terms of the idea that non-descriptive utterances ‘don’t have truth conditions’, or are not ‘truth-apt’. But writers such as McDowell and Wright pointed out that that if we are deflationists about truth, having truth conditions and being truth-apt is cheap – anything that meets the basic syntactical criteria gets to qualify, more or less. This was thought to be a big problem for expressivists (who did tend to want to be deflationists themselves, on the whole). The solution is to note that expressivists typically made two proposals about their target vocabulary – moral claims, say – one negative and one positive. The negative thesis was that moral claims lack truth conditions, or are not truth-apt. The positive thesis was whatever non-representationalist story expressivists proposed instead about what the target vocabulary is ‘for’ – e.g., that its function is to express affective attitudes. Deflationism undermines the negative thesis, but it doesn’t touch the positive thesis. On the contrary, it implies that we need such non-representationalist stories everywhere, because the representationalist’s semantic vocabulary – truth, references, and the like – has been ruled too ‘thin’ to do any theoretical work in telling us about the function of various bits of language. So in a sense the old objection got things exactly backwards, in my view. Deflationism is indeed a problem for local expressivists such as Blackburn, but the problem is not with their expressivism, but with their residual representationalism about what they regard as the genuinely descriptive vocabularies. Deflationism supports global expressivism, not global representationalism. 3:AM:If an anthropologist was to discuss the issues you do, conceptions of time, causation and so on, would they be looking at anything different from you, only with more field work? So firstly, is it philosophy you’re doing here or is it converging with anthropology? And secondly, if what you think we should be doing is thinking about what we’re saying then is there a role for xphiwho look and see if what philosophers say the folk are saying is actually what they are saying? 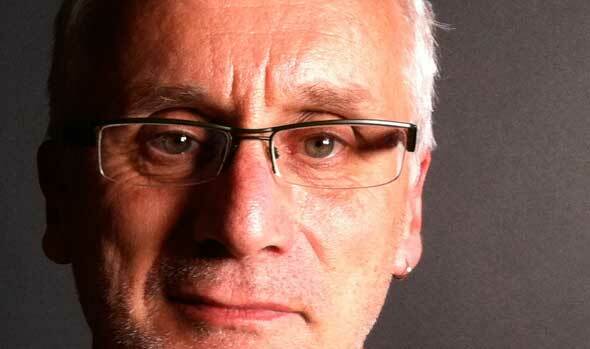 3:AM:Is there no room for, say, a Frank Jackson analytic metaphysics in your view? And what would you say to people who say that you’ve changed the subject: they might have been bad at it, but they really wanted to ask about fundamental reality and why time moves in one direction and all that, rather than be told that all we can say is that’s how things seem to us because, well, that’s the way our minds are. In a sense , people do want to ask what God sees. Is this just by-gone metaphysical talk that won’t die out, like the monarch? Oh – and is it harmful? HP:Well, I do want to change the subject, but not in most cases by just walking away from the old one. I try to say what I think is wrong with it first. For example, I’ve argued that at least some versions of the Canberra planare problematic because they rely on semantic or representational presuppositions that turn out not to be amenable to analysis by the program’s own lights. Again, I have offered McTaggart-style objections to A-theoretic conceptions of time, and I could give more examples of this kind. More generally, I try to identify common ground with my opponents – common explananda, for example – so as to be able to argue that a pragmatist approach provides better explanations, in the cases in question. (Accounting for our sense of the direction of causation is a case in point here.) So I haven’t just changed the subject. I’ve tried to explain why it seems to me that it should be changed. Most people won’t change their minds, or their philosophical spots, of course, and you get to the point where there’s nothing to say. Does that matter? Probably not, in my view. We need some stubbornness and intellectual inertia to sustain our research programs, and it’s only philosophy, after all. The scope for any serious harm is rather limited! 3:AM:Finally, are there five books (other than your own which we’ll all be dashing out to read straight after this) you could recommend to the pragmatist deflationary metaphysicians here at 3:AMto take us further into your world? 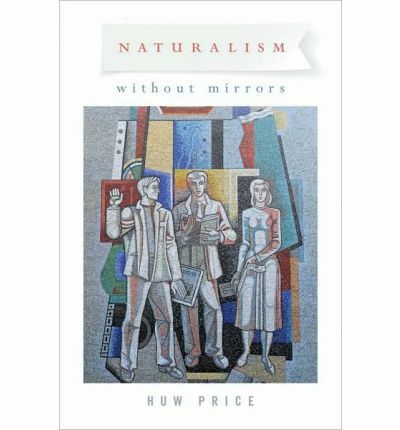 HP:You could start with Rorty’s classic, Philosophy and the Mirror of Nature. After that, well, definitely some Brandom – perhaps start with his recent collection Perspectives on Pragmatism, and work back from there. And some Blackburn– here I recommend starting in the middle, with Essays in Quasirealism, a collection of his major early papers. And some Horwich, for classic deflationism – his collection From a Deflationary Point of View, for example. Finally, Amie Thomasson’s Ordinary Objectsis an excellent recent example of someone taking the deflationary approach seriously in metaphysics. If you pressed me for a sixth I’d have to break the rules and mention Expressivism, Pragmatism and Representationalism, which is my Descartes Lectures from 2008, with commentary essays by Blackburn, Brandom, Horwich and Williams, and a long new postscript and replies by me.